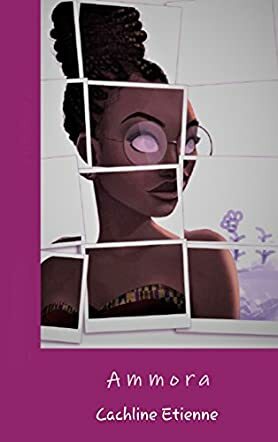 Ammora by Cachline Etienne is a young adult novel exploring personal growth. Socially awkward Ammora is fortunate to have a full scholarship enabling her to attend college, but to keep it she must work hard and get good grades. This isn’t difficult for her to do as she’s quiet and reserved and doesn’t want to go to parties and be part of the popular crowd on campus. Her resolve is put to the test when she meets Brooke Holderman, a charming sports student who seems interested in her. Shy and unused to the attention Brooke pays her, Ammora lets herself get carried away by the new life he offers her. Unfortunately for Ammora, not everything is as it seems. Is Brooke being honest with her, and should she place so much trust in him? Short and easy to read, Ammora is well suited to a young adult audience. Fitting in, learning who you are and what you like are problems that all young adults struggle with daily. I was impressed by Ammora’s work ethic and desire to succeed through hard work and dedication. In her book, Cachline Etienne has set the tone for an angst-filled novel featuring the dangers facing many women today. Emotionally intense and reflective, this novel addresses the weighty social issue of sexual abuse, presenting a perspective that may be revelatory to many young women who find themselves away from home for the first time in their lives – a ‘how-to’ guide for readers to navigate the world when experience is lacking!